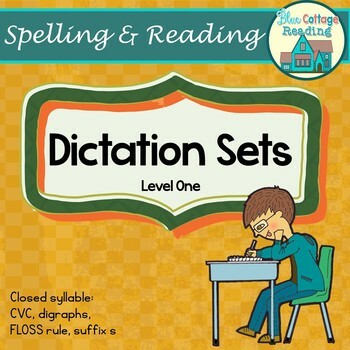 Dictation is an important part of any multisensory reading and spelling lesson. This packets includes 80 ready to use sets for dictation. This is a huge time saver when planning Orton Gillingham type lessons. These can be used in several ways. Lessons: Use them during lessons. 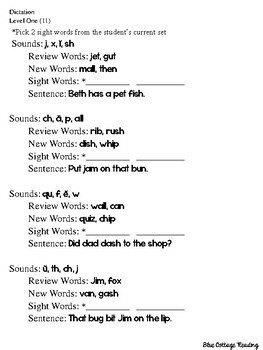 Each page includes four sets for dictation. This is great for tutoring, school, or homeschooling use. Homework: I often send the pages home with students. 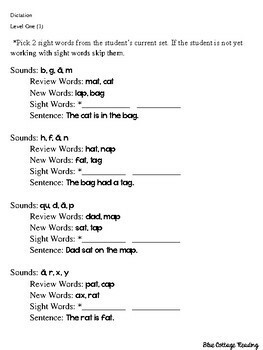 Highly motivated parents can do dictation with students at home. Depending on the student and family, I send home a page every week or every other week. 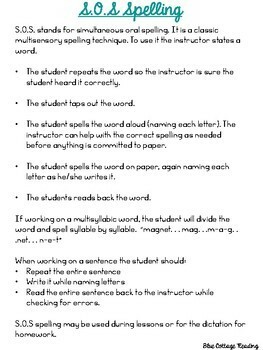 This helps progress tremendously in students that I can only see once or twice a week for lessons.